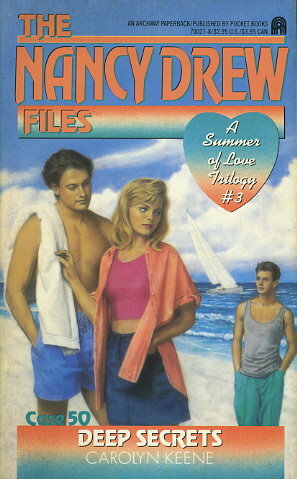 Nancy's summer at the beach is drawing to a close, and the time has come for her to choose between Russian dancer Sasha Petrov and boyfriend Ned Nickerson. But the mystery of the heart will have to wait. First Nancy must penetrate the mystery of Emily Terner, the wealthy executive's daughter missing at sea. Emily disappears with her sailboat off Montauk Point. Nancy finds plenty of suspects -- a resentful ex-boyfriend, a rival in the upcoming regatta, and a greedy land developer -- but few answers. She's navigating in dangerous waters, and the secrets of the case -- and of her love -- prove deep and unpredictable.